Looking back on 2017, I’ve read some amazing business books over the last year – Team of Teams by General Stanley McChrystal and Holacracy by Brian Robertson among them. Both books make the case for decentralizing business decisions and actions and give wonderful, practical examples and steps for decentralizing your organization. I agree with these two books and the trend towards decentralization. We are no longer in the industrial age, so let’s stop working like we are, passing tasks down an assembly line and depending on the “boss” to weigh in on all key decisions. But how do you REALLY do this? And how do you do it in a company with lots of different personalities, strengths, and decision-making comfort levels? I’m not going to say we’ve nailed it at Versado, but we’ve nailed it. At the same time, we are excited to continue to evaluate and update our methods to meet the needs of our people and match their talents. So, how’d we do it? First – we joined a team with two wonderful founders who aren’t afraid to try things, let them fail or succeed, and celebrate either what we rocked or what we learned when things went differently than planned. Our founders are united, and they are also different – one loves structure, and the other is a vision-caster. In some companies, this would result in confusion and division – at Versado, it has resulted in frameworks that empower “the people” to make decisions and carry them out. 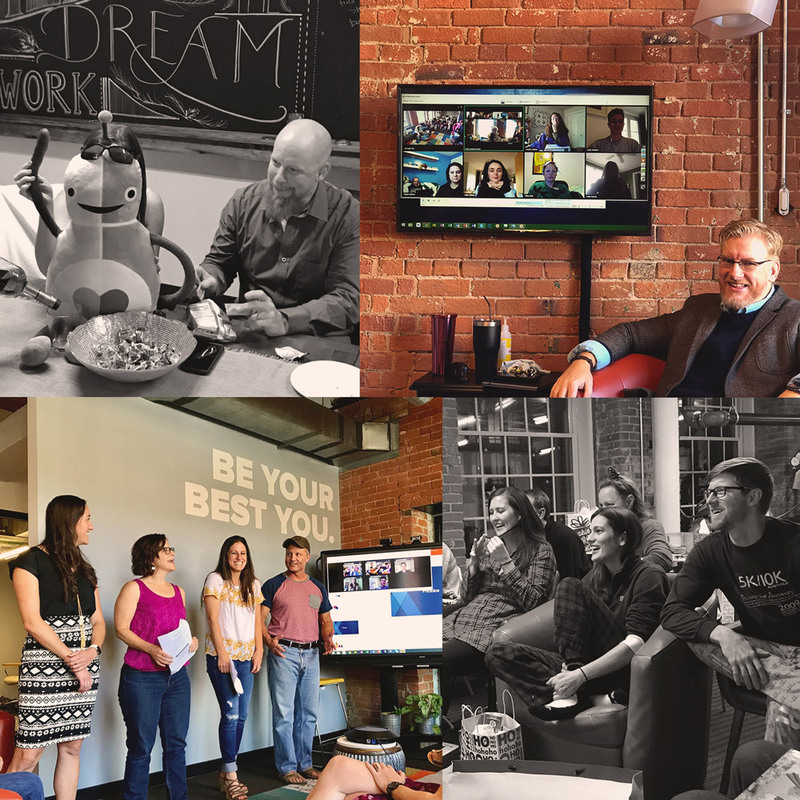 Second – we have intentionally fostered a culture of curiosity and positivity – not denial, but genuine, honest positive conversations, solutions for our business, and lessons learned from misses and unexpected challenges. We love the agile, decentralized organization we’ve built, and we love to learn and grow.